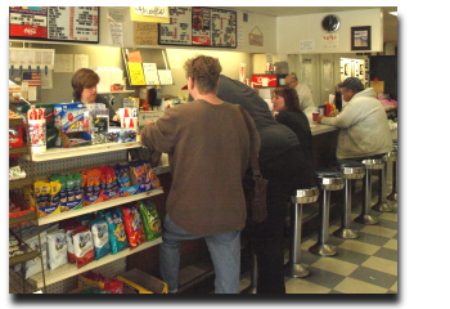 Visit our old-fashioned soda fountain for a good taste of nostalgia. We are open at 7a.m. - 6p.m. Monday through Friday and 8:30a.m. - 4:30p.m. Saturday. For breakfast we serve eggs your way, bacon, ham, sausage, hash browns in patty or home style, French toast, pancakes, toast, cereal, and most any other item you could desire. For lunch we serve hamburgers, hot dogs, chicken sandwiches, barbecue, steak and cheeses, French fries, onion rings, and chips. 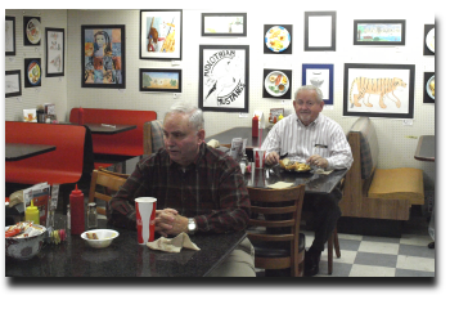 We also make homemade chicken salad, egg salad, and tuna fish for our sandwiches or cold plates. If you are thirsty, stop by for our fresh-squeezed limeades or lemonades. When’s the last time you had a milkshake made with real milk and real ice cream? 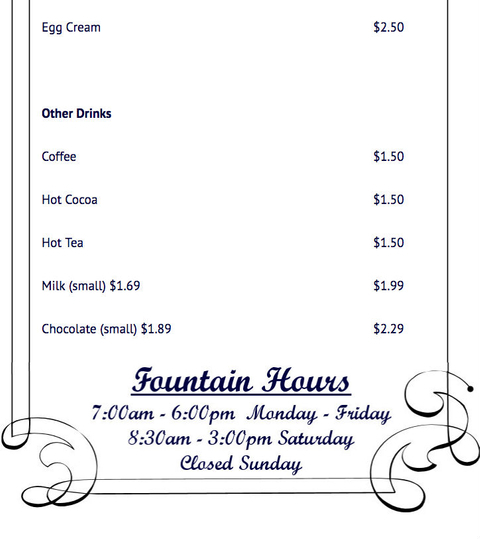 We also serve your favorite Coke products. But eating is only half the fun. Find out what’s going on in Midlothian while sitting on an old-fashioned bar stool, or in one of our cozy booths. Enjoy visiting with firemen, schoolteachers, bankers, postal workers, CPAs, or even a senator once in a while. The conversation is worth the visit, but the food and drink will keep you coming back. If you have not visited our fountain yet, put it on your list of MUST things to do!